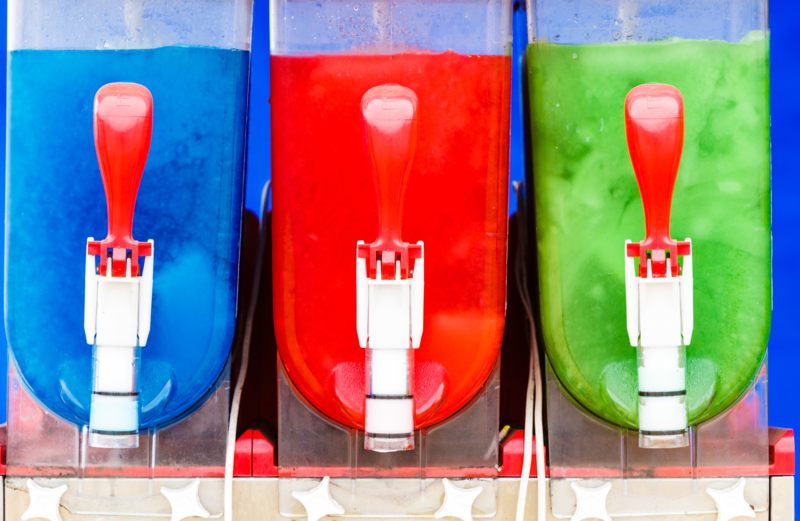 James P. asks: Who invented the slurpee? 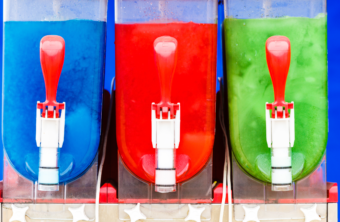 The Slurpee was invented as a commercial product more or less by accident by a Dairy Queen franchisee Omar Knedlik in Kansas City in the late 1950s. Born in 1915 and having grown up relatively poor, after WWII Knedlik used his pay from his time serving in the war to open a small ice cream shop. After rinsing and repeating with various business ventures (some successful, some not), by the late 1950s, he’d scraped enough money together to purchase a Dairy Queen franchise. The commonly told story, corroborated by none other then Knedlik’s son, Phil, in an interview after his father’s death in 1989, is that, struggling with a malfunctioning soda fountain, Knedlik began storing bottled soda in his freezer, which cooled, but did not entirely freeze, the beverages into a delicious slush. However, according to none other than the company website itself, Knedlik simply didn’t have a soda fountain (not even a broken one) in the early days of running his Dairy Queen franchise, so made due with putting the bottled soda in the freezer. At this point, you might be wondering why the soda didn’t always just freeze all the way through. Recall that back in the 1950s, most soda was sold in glass bottles that had very smooth interior surfaces, and the soda itself had few extraneous particles. For any ice crystal to form at temperatures found in a typical freezer, it has to have something to grab onto (technically, a nucleation site). However, in the hermetically sealed glass bottles of soda, unmoving in Knedlik’s freezer, this wouldn’t necessarily happen. When the soda was removed, however, two factors potentially worked on it to begin to create slush. First, if the soda was supercooled (below the solution’s freezing point, but not frozen), just by moving it, this created additional interactions that could sometimes reveal previously unrealized nucleation sites, causing localized freezing. Second, even if the liquid wasn’t “supercooled,” but was at close to the freezing point of the solution, when the carbonated bottle of soda was opened, the dissolved CO2 under pressure suddenly returns to atmospheric pressure, so outgasses. Beyond potential further jostling of the liquid, this outgassing results in a slight drop in the temperature of the remaining liquid via the expanding gas absorbing heat from the surrounding solution, particularly causing a temperature drop around the outgassed bubbles. The result of all this can potentially be a previously liquid solution turning quite slushy. Back to Knedlik- with customers clamoring for it, Knedlik began tinkering with equipment he had sitting around, including an old ice-cream maker and a car air conditioner. His goal was to create a device that would consistently produce slushy sodas on demand. Water and flavor were combined and poured into the machine . . . then gaseous carbon dioxide was added. A refrigeration system cooled the mixture [and] a pump designed to achieve the desired consistency would . . . regulate temperature and kept the mixture from either freezing or melting. The result is a partially frozen foam-like liquid that comes out of the tap. Free from the pressurized chamber, the CO2 then causes the slushy solution to puff up, at the same time dropping the temperature slightly via the outgassing, as previously described. This results in the whole solution freezing into a more solid slush, with the sugar in the liquid, besides helping it to taste good, ensuring the solution doesn’t turn into a solid block of ice. Knedlik initially thought to call the product Scodasice, but the final name and logo settled on was ultimately ICEE, thought up by design artist Ruth Taylor. By 1965, Knedlik’s icees were being offered in approximately 100 stores across the country. It was then that 7-Eleven came calling, wanting to put the product in their stores. The license 7-Eleven ultimately purchased came subject to conditions, however, including that it had to call the product something other than ICEE. And thus, the most famous version of this particular drink, the Slurpee, was born. And the rest, as they say, is history. Canada is the Slurpee Capital of the World (at least through 2016), per capita wise, with 7-Elevens across Canada selling in excess of 30 million Slurpees per year. A 44 oz. Sour Patch Watermelon Slurpee has 500 calories, while a 44 oz. Dr. Pepper Slurpee has 825. According to the World Health Organization (WHO), 400 million people worldwide are obese, and 1.6 billion are overweight. In the U.S., the number of overweight adults has increased from 47% in 1980 to 66% in 2006 (and obese from 15% to 33% during that time span). Perhaps not just a correlation, between the late 1970s and 2001, the percentage of calories people take in from sugar-sweetened beverages has increased from 3.9% to 9.2%. People who consumed greater than or equal to one sugar-sweetened beverage per day have an 83% greater risk of developing type 2 diabetes compared to those who have less than one per month. Why did my liquid soda freeze once I pulled it out of the fridge? Why does soda freeze after it’s opened?